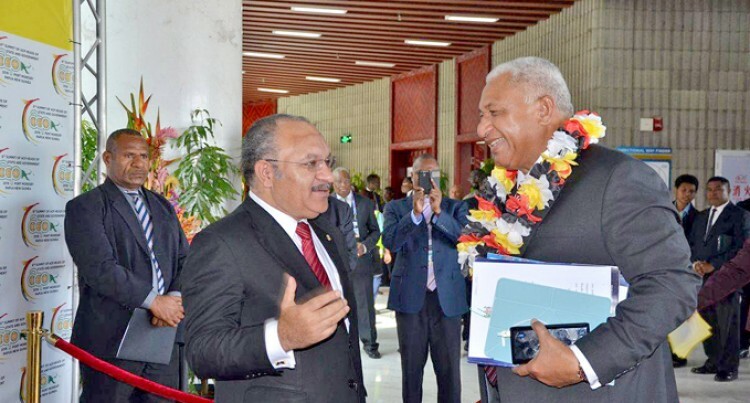 The European Union’s Commissioner for International Co-operation and Development Neven Mimica and Fiji’s Prime Minister Josaia Voreqe Bainimarama yesterday signed an agreement for a new initiative with a budget of EUR10million ($23m), in the margins of the EU-ACP Summit currently underway in Port Moresby. The financial assistance package will assist Fiji’s recovery and rehabilitation efforts in the agriculture following Tropical Cyclone Winston. “The $23 million will not only help the sugar and agriculture sectors to recover quickly, but will also give hope and optimism to hundreds and thousands of Fijian citizens who depend on the sectors for their livelihoods and survival,” Commissioner Mimica said. “The support will come in the form of direct budget support so the Government is able to use the funds according to the priorities identified in the recovery plan for the sectors. Mr Bainimarama said: “We are very gratified by the confidence the European Union is showing in our budgetary process and the management of our public finances. “You are recognising that the best way to deliver assistance is through a partnership with the Government.